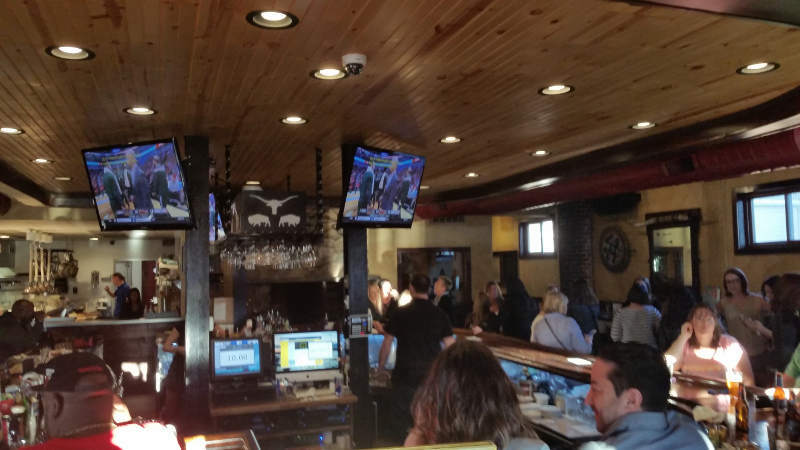 The Steer Restaurant & Saloon, as the name suggests, is as much bar as it is restaurant with a casual, lively edge to it – almost like an old west…saloon. 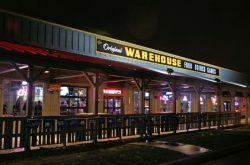 You enter into a large main bar area with cement floors, and tables surrounding the large circular bar. 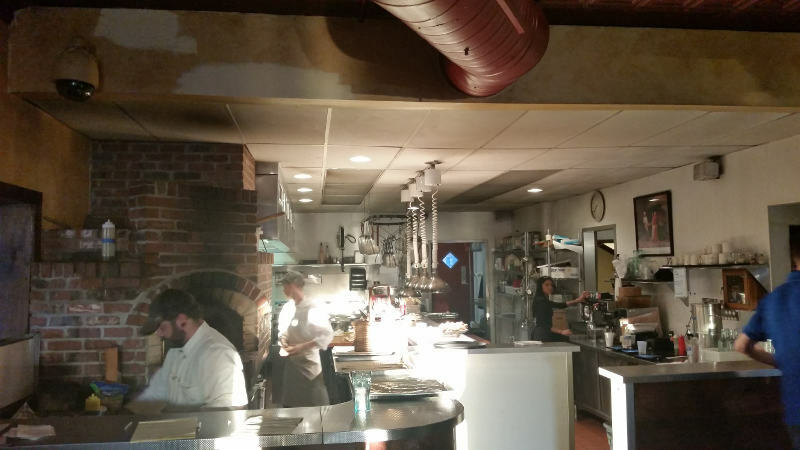 An open kitchen with wood burning brick oven stands out in the back corner. To the left you enter a separate dining room. 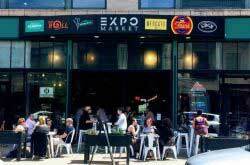 The location in University Heights brings in a diverse clientele covering all ages and walks of life. Most weekends you’ll find the bar well occupied by UB students. The dining decor is fairly simple with dark wood, brick, cream walls, and an unfinished ceiling. A fireplace along one wall adds some cozy in the winter months. They have an outside patio for dinners and a roof top bar that is popular in the season. 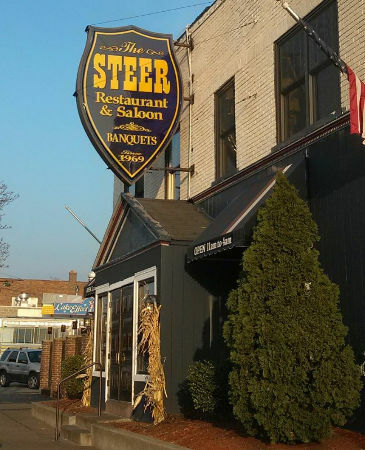 The Steer is owned and operated by Tucker Curtin, owner of the Lake Effect Dinner next door and Dug’s Dive at the Small Boat Harbor on Furman Blvd. 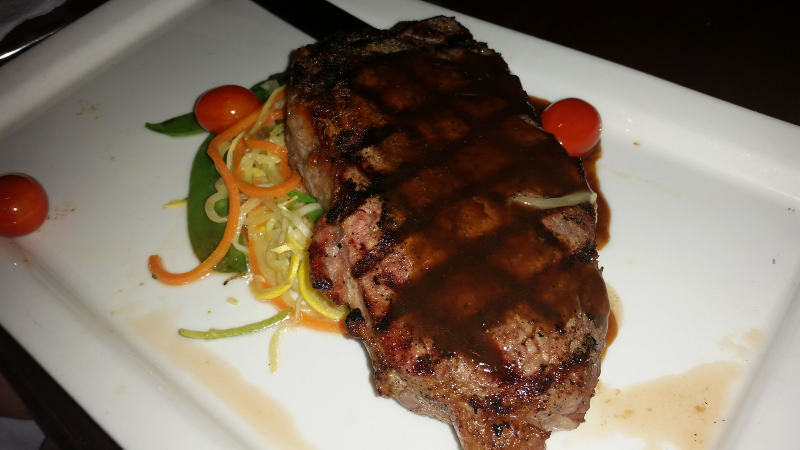 The food is made in-house and much of the products sourced from the Clinton-Bailey market that the Curtin’s run. Brunch is served Saturday and Sunday from 11am-4pm featuring bottomless Mimosas. More than casual it’s almost rugged. If you’re looking for quiet and calm this wouldn’t be my first choice. Looking for fun, high energy, unique, maybe a little hectic – jump on board. They offer something for everyone and plenty of everything. 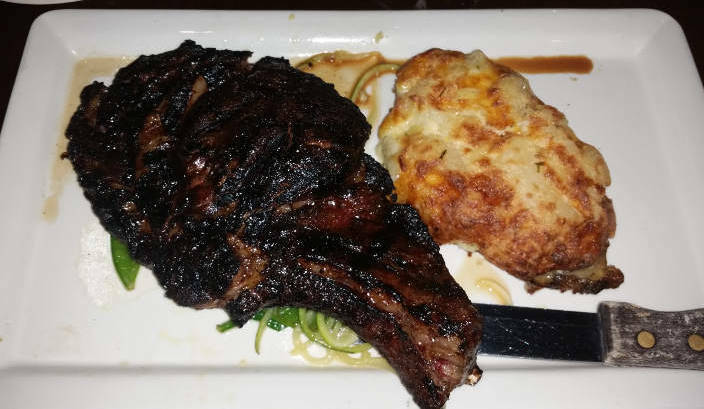 Perfect for a crowd or a casual bite with friends. Don’t let the name fool you, they have plenty of healthy vegan options. How can you not like a place that is open 11 a.m – 4:00 a.m. 7 days a week? For a place named the Steer they offer an atypical selection of vegetarian and meat focused dishes. 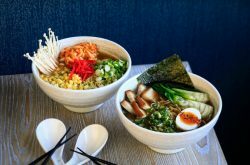 Erin Curtin, owner Tucker Curtin’s wife, went to a plant-based diet some time back and has populated the menu with a host of vegetarian, vegan, gluten free and dairy free dishes. They have 15 styles of burgers with your choice of beef chuck, ground chicken or veggie, that you can get with either a single or double patty. They also come with a nice roll, toasted, sourced from the market. So in fact they have 90 different burger options. Pretty nice. 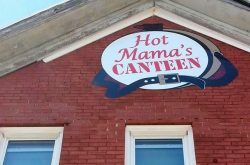 On top of all that they have plenty of other options including tacos, brick oven pizza, sandwiches, chicken, seafood, Friday fish fry etc. We had a drink at the bar while we waited to sit. 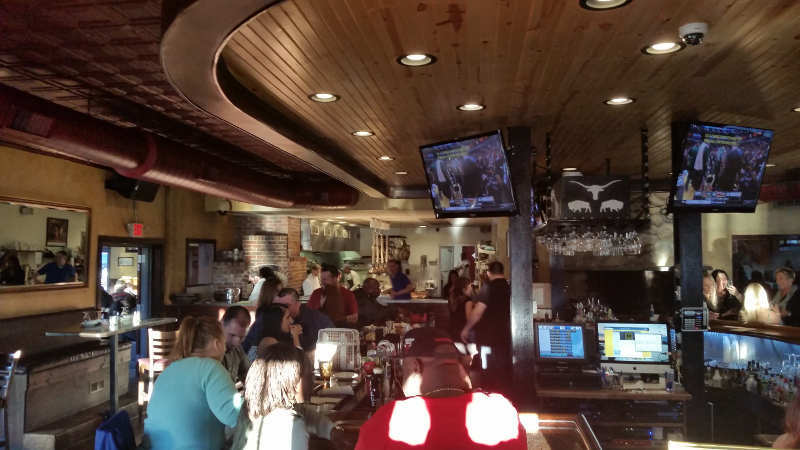 The place was busy for a Saturday at 7:30 so we kept it simple for the bar tender with some Beefeaters, Stoli and a beer. 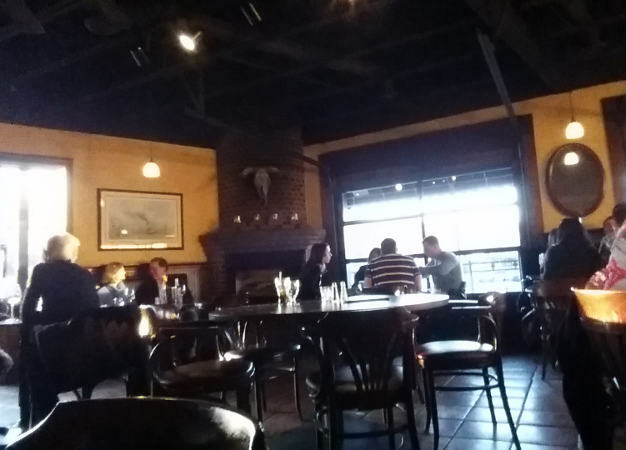 The dining area is nicely separated from the bar, a good idea because the bar can reach a pretty high decibel level. We sat at the banquet along one wall with chairs facing. 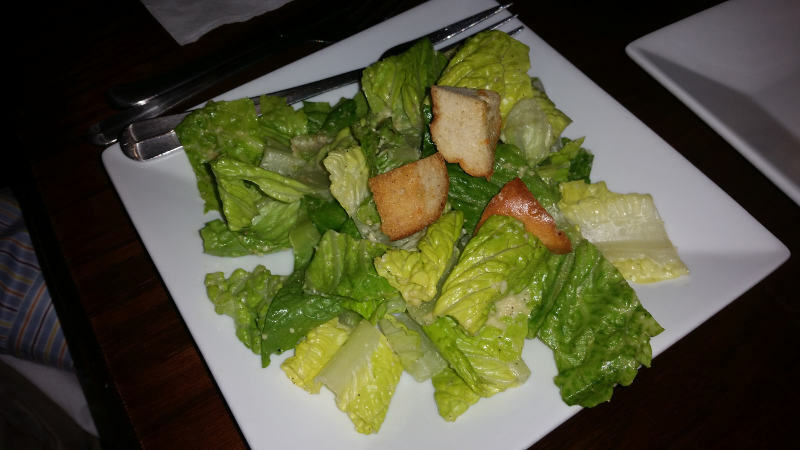 House Salad (small) – mixed baby greens, romaine, tomato, carrot, onion, cucumber and crouton with some goat cheese added $6. The small was plenty large. 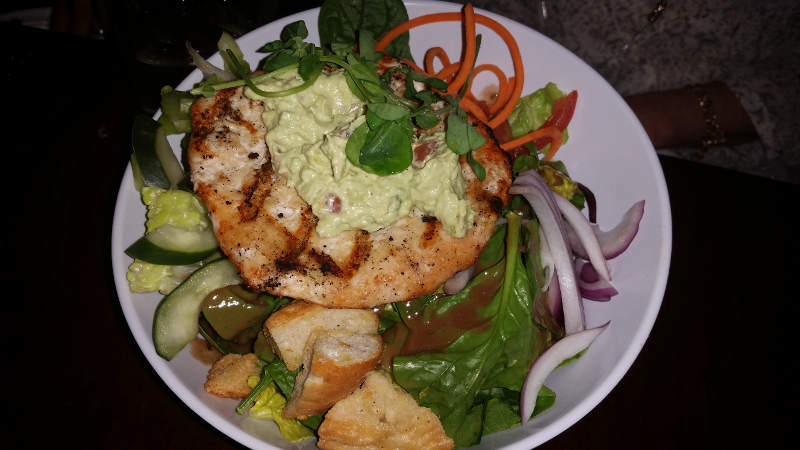 Fresh ingredients with some tasty goat cheese – slam dunk. 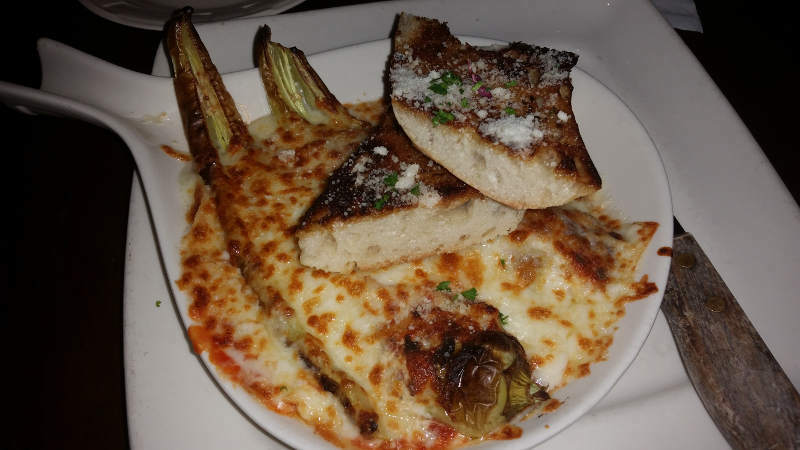 We enjoyed these two massive peppers with plenty of stuffing served smothered in sauce and cheese lasagna style. I have no idea what hemp ranch is but I liked it. I’m a big fan of Garbanzos in any form and this version was new to me. 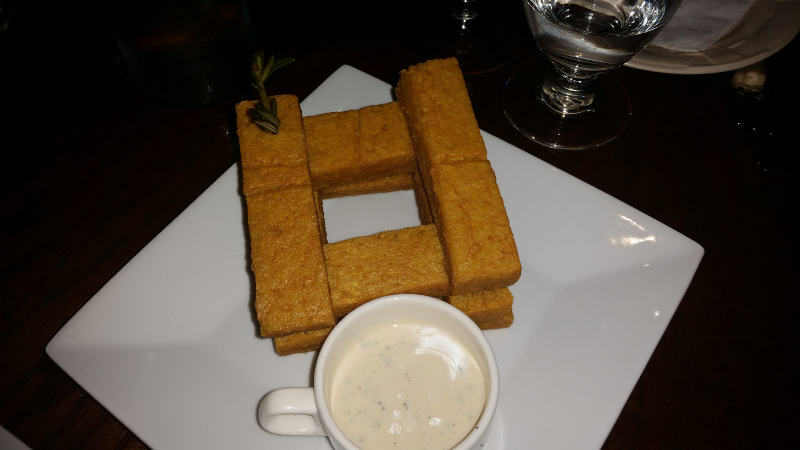 Crispy blocks of (deep fried?) chick pea with sauce to dip. Very cool. 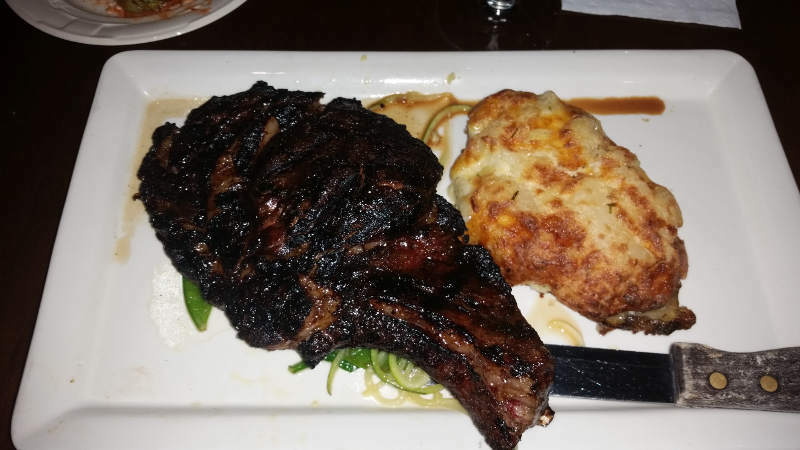 Both steaks were good, cooked as ordered and nicely seasoned. This is an interesting option, not only because of the obvious quips that fly around the table. This is basically a salad with a burger patty within. I didn’t try it, but the reports were very positive. 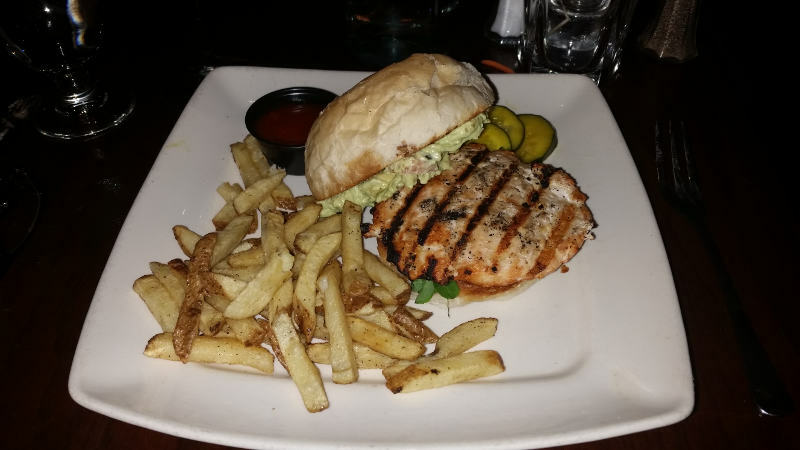 Chicken Burger – Baja style with Mango Salsa, guacamole, pea shoots- $12. Served on a toasted bun, as all the burgers are, the fixin’s were much enjoyed, the burger pretty good for chicken but not as juicy as you might expect a beef patty to be.